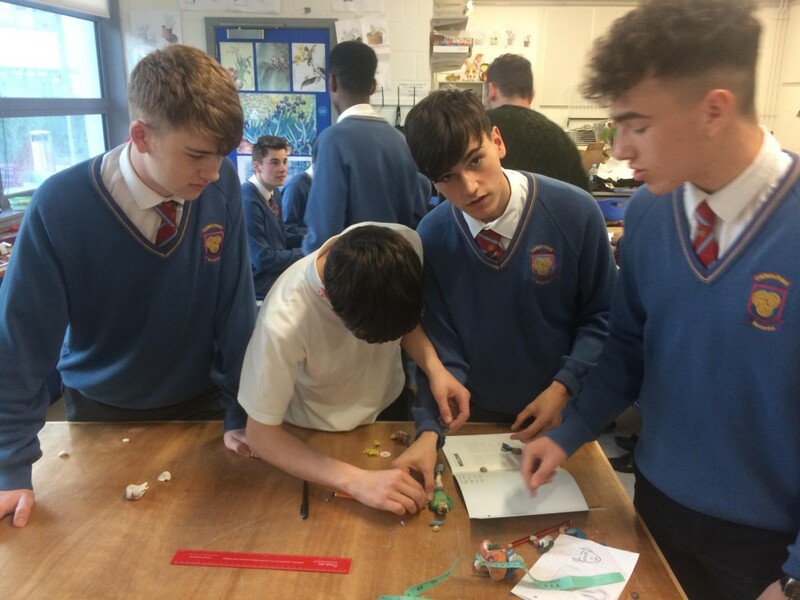 At the first workshop we investigated the students’ understanding of what architecture is. Many great suggestions were given, from the design of buildings and structure, to innovation, public space and art. 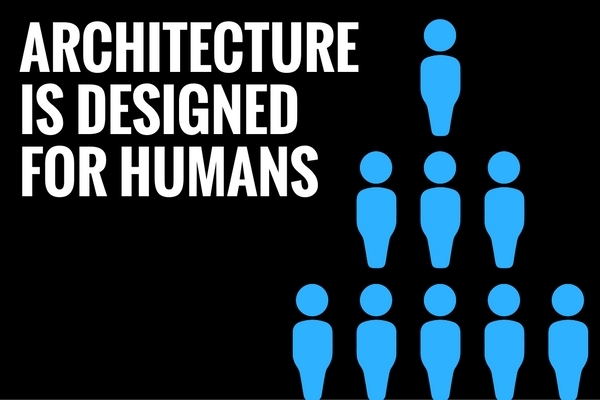 We explored the common factor between all their answers – architecture is designed for humans. The students were divided into groups of four, and given the task of drawing their team members at the scale of 1:1. A2 sheets of paper were taped together, and students used measuring tapes to gather the necessary dimensions. Many innovative techniques were used to get the right dimensions, from the ‘traditional ‘ tailor method to tracing out the persons silhouette. Each technique came with its own challenges, but overall the results were great. Each 1:1 replica was pinned up and the class reviewed their results. Now that the students understood the life-size scale of a person, the next challenge was to learn how to scale things down. Each team was asked to produce a 1:10 clay model of their replica. 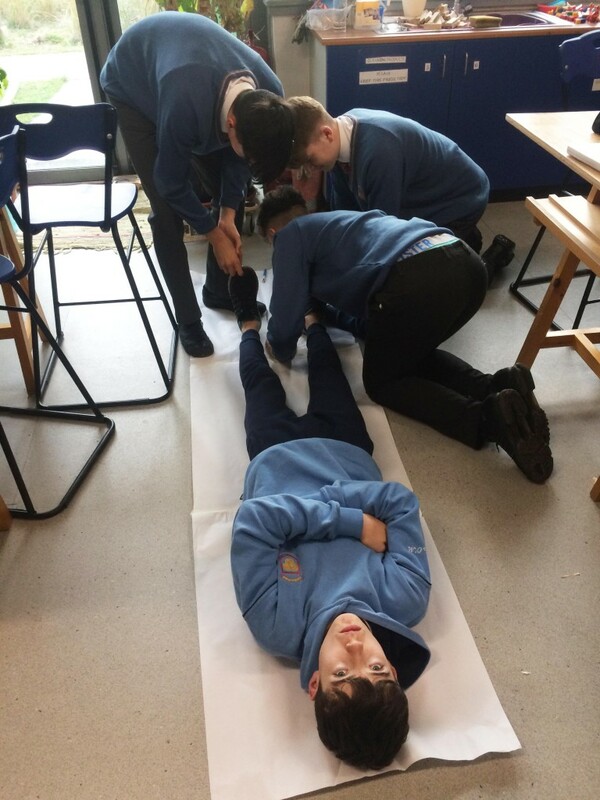 Using their measuring tapes, the students worked together taking key dimensions to be scaled down. 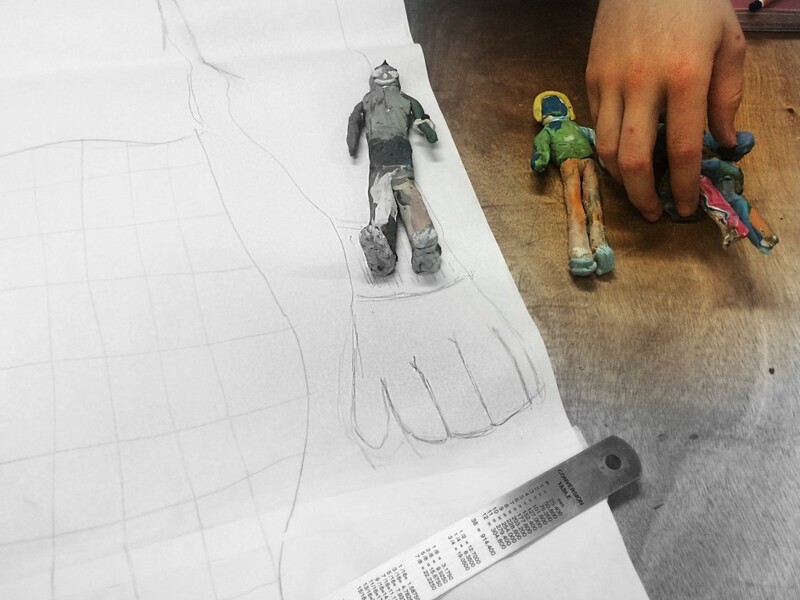 Ensuring that each element was produced at the correct scale required strong teamwork. Each team’s model was measured, with the two most accurate models shortlisted. The overall winner was voted by the students. The next task for the students was to define and record their favourite space. Team members discussed the various property of their chosen space, from light qualities, to size and materiality. Many chose a space which gave them privacy and refuge - their bedroom. These were explored through varying approaches; plans, sections, elevations and perspectives. Now that everyone had thought about their favourite space, we posed the question ‘what senses do we use to interact with architecture?’. 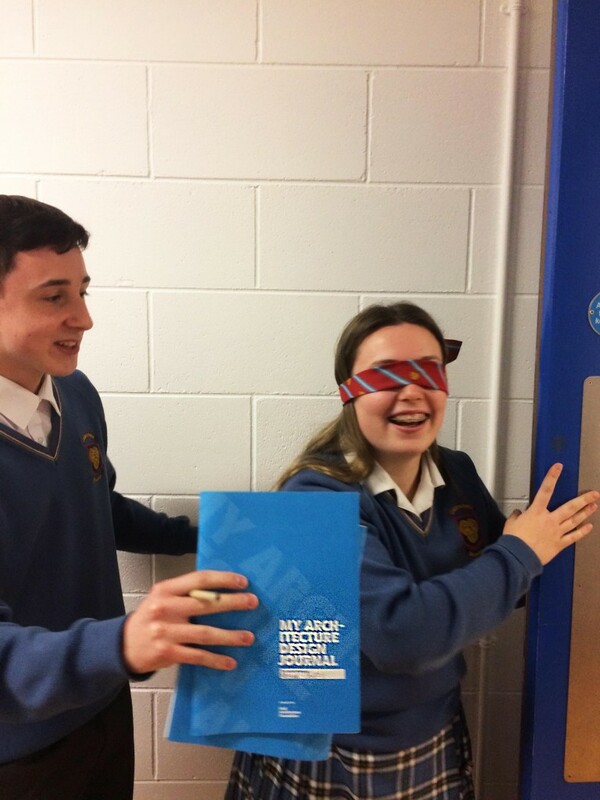 The students were broken into groups of three, with the task of exploring a familiar environment (in this case, their school) without the use of their most prominent sense – vision. 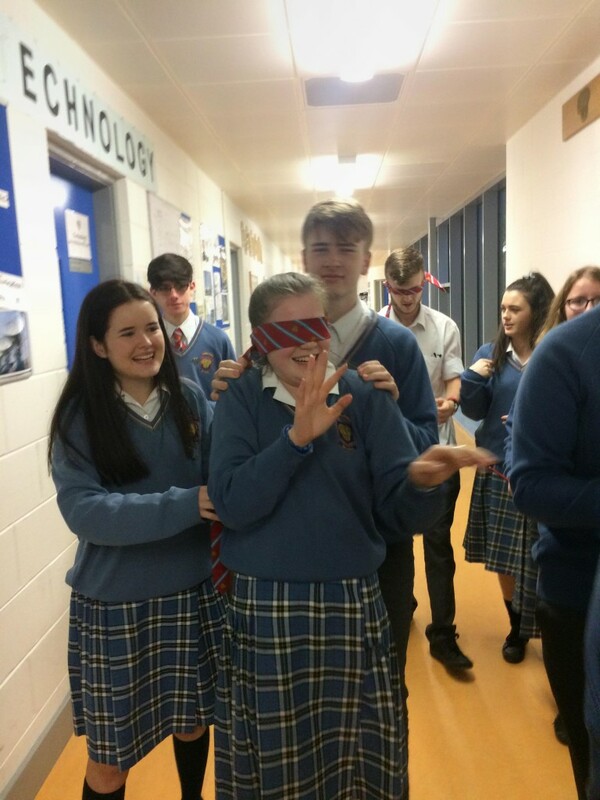 One student was blindfolded, the second was their guide, and the third was tasked with recording their comments. Each student got a chance to engage in each role. The students explored spaces which varied in size and materiality, from their classroom to the large canteen. A class discussion was held, on return to the art room, and their full senses. Each student relayed their individual experiences to the class, commenting on their reliance on sound, touch and in some cases even smell to experience the spaces. 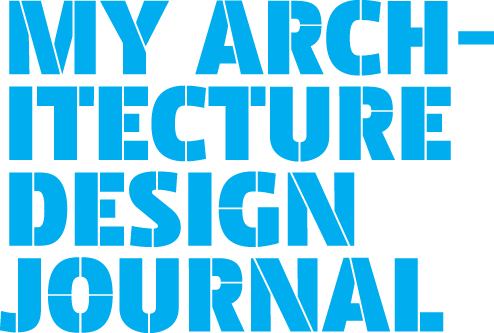 The following week, each student had researched 3 pieces of architecture. Working in teams of 5, the students compared their choices and found commonalities between the buildings. A common theme was a fondness for innovative, striking and iconic buildings. The students were next asked to find areas of their school which reflected their architectural choices. Each group worked together to map the space, and re-enacted how the space is normally used during busy periods. 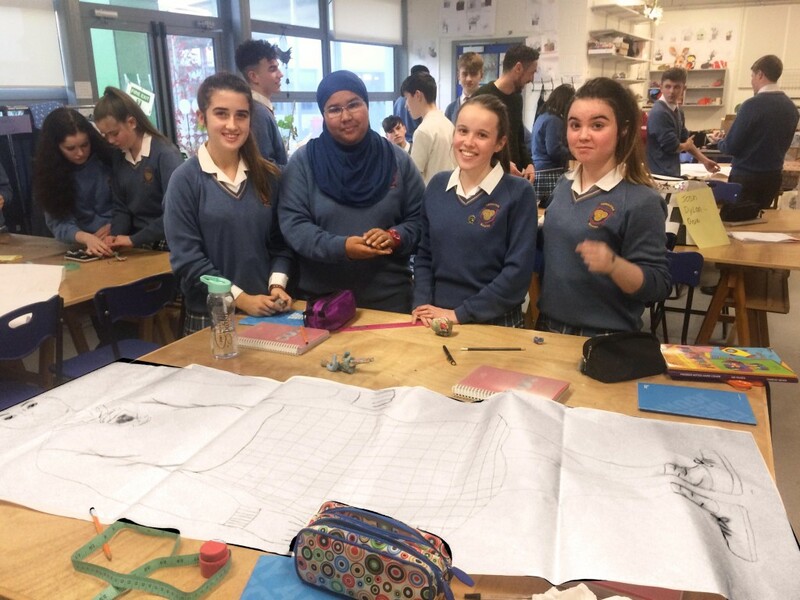 Well done to the TY students at CPS Phibblestown + their architects Studio Anois! !